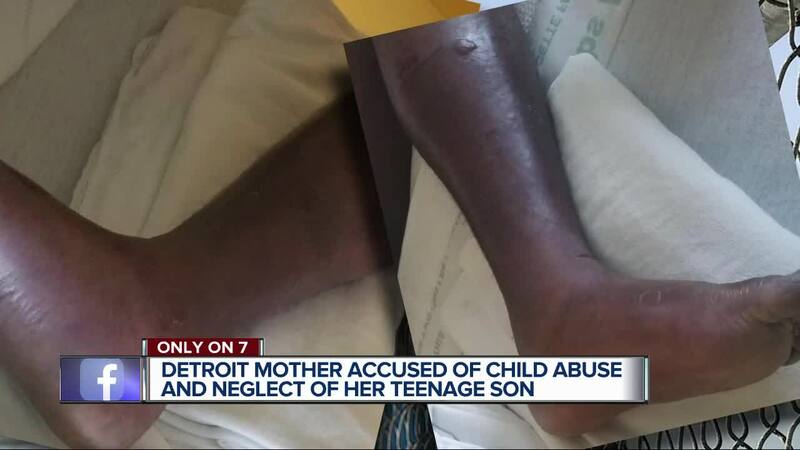 DETROIT (WXYZ) — Montique McLean is accused of failing to get her 14-year-old son proper medical care after she said he was bitten by an opossum in the basement or backyard of their new home on Detroit's west side. "My kids said they seen possums in the basement," said McLean, who told 7 Action News that she did everything a parent is supposed to do when her son told her his feet were hurting. McLean's son reportedly told her that her cat bit him on the foot, but she believes a wild animal may have gotten into their new house. A source familiar with the investigation told 7 Action News that the house where the incident happened is "deplorable" and it's unclear how his legs became infected. McLean said her son's foot got worse because he kept soaking it in water, so she called his father to take him back to the hospital. The infection had spread to his other leg, so the relative took the teen to Sinai Grace and doctors transferred the teen to Children's Hospital.